Written by the internationally best-selling Dr Gareth Moore, in this intriguing collection of puzzles, codes and conundrums, the author has gathered together a huge variety of puzzles - from the simplest to the most fiendishly difficult - that are guaranteed to bemuse, amuse and confuse. This addictive book is perfect for anyone who enjoys being challenged. 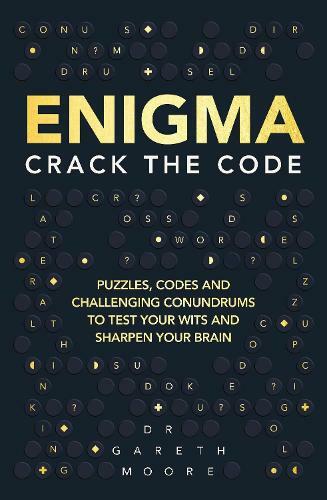 With over 300 puzzles to solve, including some that can truly be described as enigmas - plus solutions too, if you need them - it's the perfect way to hone your brain and pit your wits against the very best brand new puzzles.